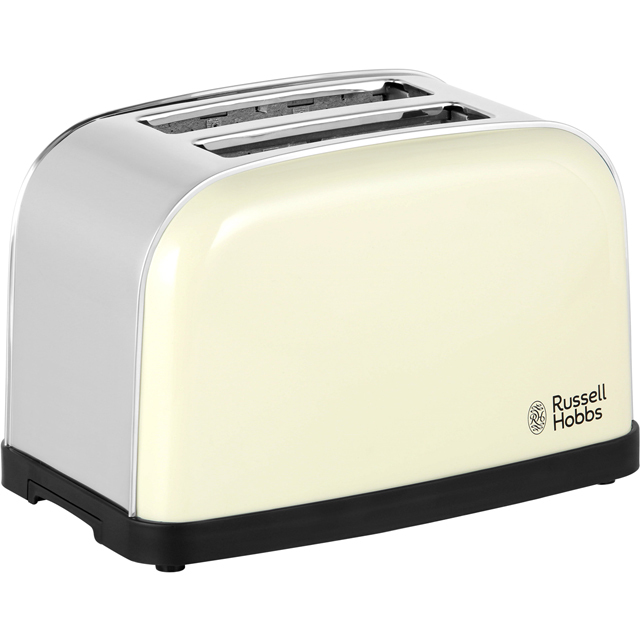 Get your day off to the perfect start with this stylish cream Russell Hobbs toaster. 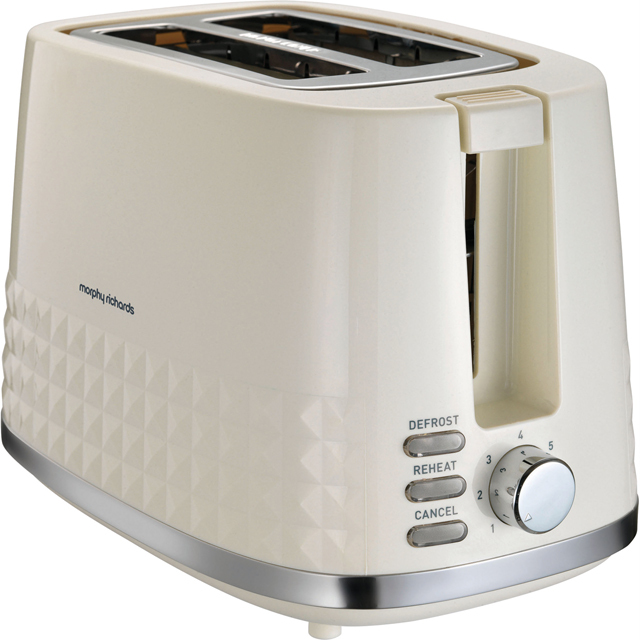 It can heat 2 slices at once and has a high lift function, which makes it easy to remove smaller items like muffins and crumpets. The variable browning setting gives you complete control, so you can enjoy golden toast just the way you like it. 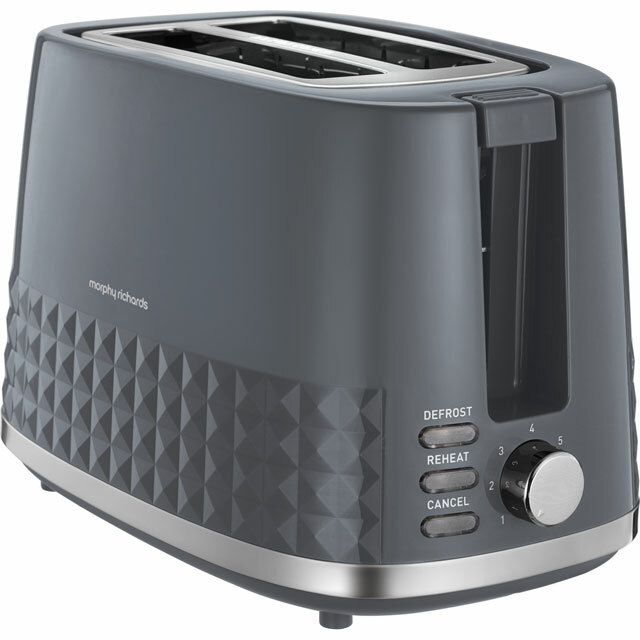 You won’t have to worry if you forget about your breakfast either thanks to the handy reheat function, which warms your bread without further browning. Even cleaning up is easy as the removable crumb tray collects all the mess for you. 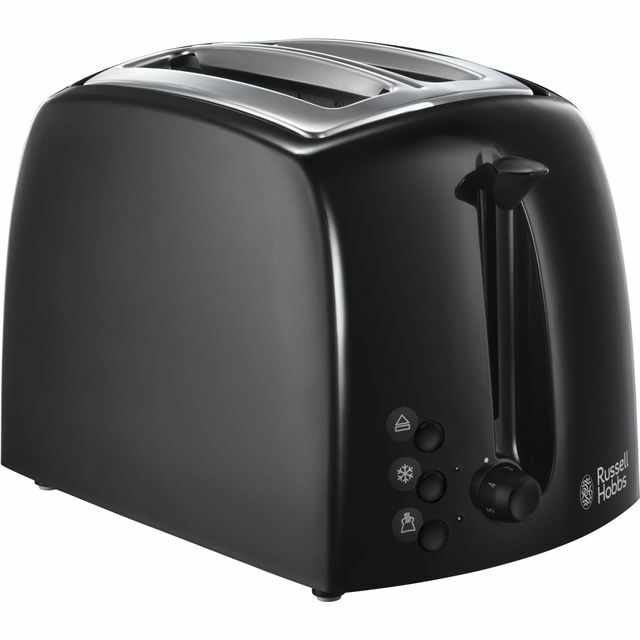 Great value toaster, bought it to go with matching kettle.Exellent service all round from AO. Looks nice, basic but all we needed. We didn't need or want anything more. Good product does exactly what it is designed to do. Easy to use with good clear settings on the equipment and easy to follow instruction manual. 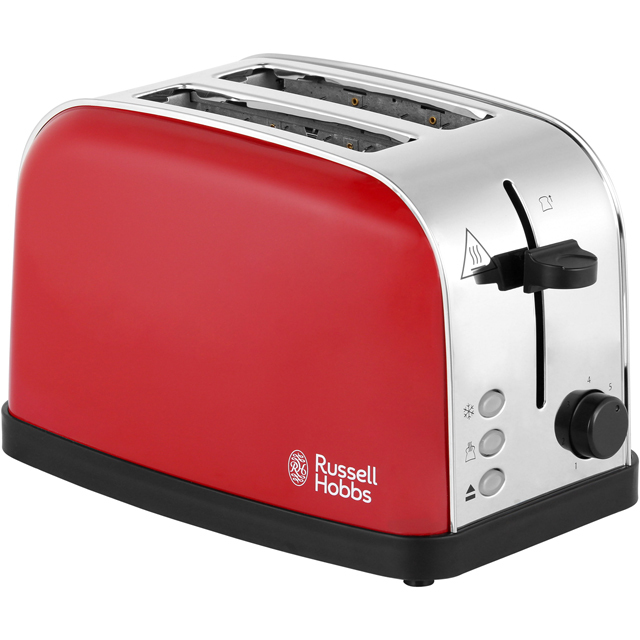 Matches existing Russell Hobbs equipment in the kitchen.